And the Best New Zealand Producer of the Year is… Saint Clair Family Estate! 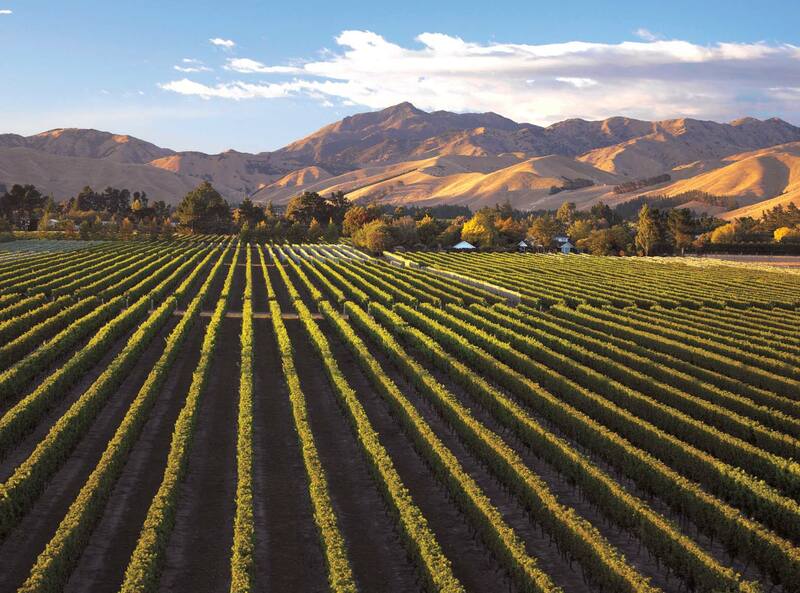 Saint Clair, pioneer in the Marlborough wine industry, has been awarded the accolade of Best New Zealand Producer of the Year at the AWC Vienna International Wine Challenge 2016. The AWC Vienna is the largest officially recognised wine competition in the world, with over 12 thousand wines entered from 41 different countries in 2016. 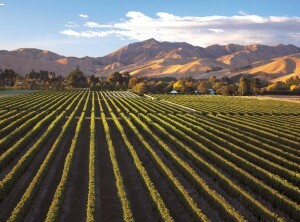 The landmark award win has also coincided with the local and prestigious Air New Zealand Wine Awards Gold medal winners, with Saint Clair achieving Gold medal status for a variety of wines at various price points. 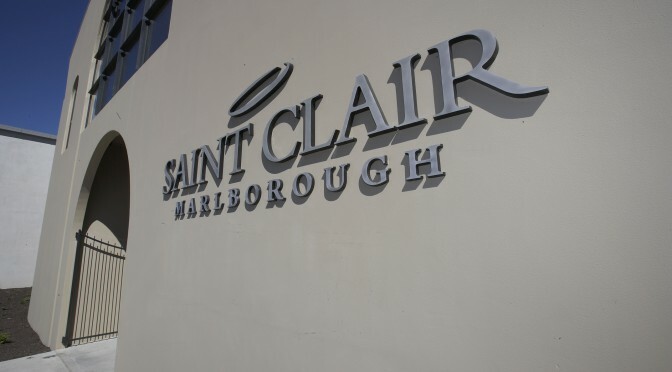 The winery’s consistent recognition in a variety of wine competitions, both locally and internationally, is a clear indication of the quality present across the entire range; reinforcing Saint Clair’s position as a leading New Zealand wine producer. Now in its thirteenth year, the Matthew Jukes 100 Australian Wines of 2016 and 2017 includes an exciting selection of nine wines from the Hallgarten portfolio. The Hallowed Ground wines from Cherubino, Clos Clare, Fox Gordon, Paringa Estate, Lake Breeze and Teusner have been chosen by Jukes to showcase the finest Australia has to offer. 2015 Laissez Faire by Larry Cherubino, Fiano, Porongurup, WA | 13.5% | Natural wine warning – this is a natural wine, sound the klaxons, grow a goatee and hoist your drainpipes up to midcalf level. OK, apologies for this unnecessary attempt at low-hanging-fruit-humour but you wouldn’t know that this is an earnest creation because it doesn’t parade any of the usual tell-tale traits (phew). Last year I featured Laissez Faire Riesling and it blew all-comers away with its lean, raspy, piercingly dry finish. This year Larry has nailed the tricky Fiano grape with his customary precision and élan. Having said this, the brittle Porongurup environs will never allow this oft-blowsy variety to lapse into unwanted richness or oiliness. Tie this challengingly cool climate in with Larry’s laser-driven winemaking and the results are electric. 2015 Fox Gordon, Princess Fiano, Adelaide Hills, SA | 13.0% | Tash Mooney’s 2014 Princess Fiano, which featured in last year’s 100 Best List, was a pivotal wine for this variety Down Under. Without spoiling the plot too much it is safe to say that this 2015 is longer, finer, more exhilarating and embellished with a few notable CGI moments. As these vines age and, dare I say it, Tash learns more about the potential of their wickedly enticing fruit, I expect this wine to continue to soar even higher. I rate it above all but a handful of wines made from this haunting variety in its home in Campania. 2013 Paringa Estate, Peninsula Pinot Noir, Mornington Peninsula,Vic | 13.5% | I love Paringa’s two Peninsula Series red wines in 2013. This label endeavours to bring you a slightly more forward interpretation of the Estate wines with more generous, approachable fruit and less grip on the finish. Of course, winemaker Lindsay McCall cannot make straightforward, early-drinking wine if he tried and so this is the most overengineered and fascinating pair in Mornington. Texturally these wines are virtually identical because the Pinot is bold, ripe and surprisingly deep, while the 2013 Peninsula Shiraz is redder, fresher and more aromatically appealing than any other version of this grape in the country. They don’t quite hold hands but they are definitely brothers and these opposing but complementary traits slightly confuse tasters at the same time as drawing them in! They are both potent elixirs, designed to seduce your palate and they will never fail to do so, such is their sincerity and distinction. 2015 Fox Gordon, Nero d’Avola, Adelaide Hills, SA | 14.5% | At a recent South Australia Club event, entitled ‘Alternative Grape Varieties’ I poured the 2013 vintage of this wine as the finale red and it brought the house down. The wine sold out in a trice and so I called in a bottle of the next release, which just happened to be the 2015 because the 2014 had already romped thought the Adelaide resto scene leaving a trail of destruction behind it. Would this 2015 be too youthful and brusque? Not a bit of it. This is a phenomenal release with macerated black fruit, touches of dark chocolate and more spice and wild dried herb notes than an Istanbul market. What’s perhaps even more surprising is that I cannot think of an Italian wine to compete with the fruit quality, slickness and complexity of this interloper! 2013 Eight Uncles Shiraz is a perennial favourite in the 100 Best and as the years roll by this wine gathers more and more fans at the same rate as it gathers more and more complexity and build-quality. It is as succulent as it is savoury and this balance means that it is on the more sensual and medium-weight side of the Barossa Shiraz-spectrum and this flavour is exactly what we’re after in the UK. 2013 Fox Gordon, By George Cabernet Sauvignon Barossa Valley / Tempranillo Adelaide Hills is a wine which I often forget about in spite of memorable name. As far as Super-Spanish blends go this is a fascinating one because unlike many it actually uses cool climate Tempranillo to moderate darker, more generous Cabernet and this is a little bit about face. Generally hot Temp is soothed by green Cab in an effort to bring the flavour back to earth and, of course, this rarely works. Winemaker Tash Mooney recognises this and builds this wine carefully with her trademark understanding and sensitivity. 2013 Cherubino, Cabernet Sauvignon, Margaret River, WA | 14.0%| I have come to the conclusion that my favourite Cabernets in the world are those underpinned with epic acidity and serene tannins. Fruit is commonplace, oak is humdrum, but orotund tannins, derived from magnificent Cabernet skins, laced with enthralling acidity are what life is all about. Larry’s wine has these essential ingredients. Yes, the fruit is unflinchingly superb and the resonance of the wine, as it transmits its sonorous message to your pulsating olfactory bulb, is mesmeric, but without the finesse and tension of the tannins and acidity it would be just another predictably guileless, glossy Cabernet. Thank you Larry for focussing on the important factors and not the surface sheen. There is another wine in Larry’s ever-evolving portfolio which caught my eye and it is a Rhône-y blend with an irreverent label – 2014 Apostrophe Possessive Red Made from 90% Shiraz, 8% Grenache and 2% Mourvèdre this is a zany, clownish wine with masses of briary appeal, a large dose of Larry’s vinous flair and some crafty acidity on the finish to keep it all in check. 2013 Lake Breeze, Bernoota, Langhorne Creek, SA | 14.5% | What do you call a wine that had legendary status years ago but which still insists on building on its past glories with every year that passes? 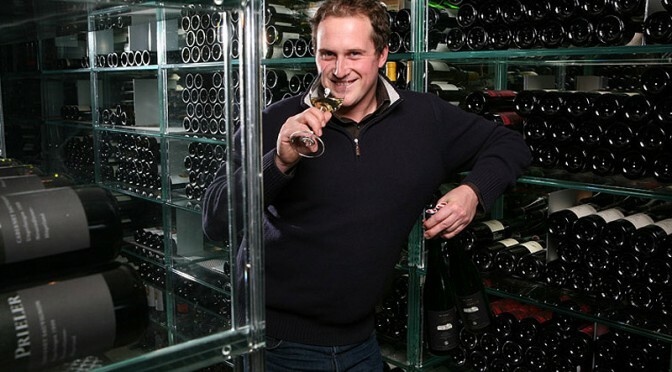 A super-legend, a divine-wine, a commander- in-chief-in-perpetuity? I don’t know, but what I do know is that 2013 Bernoota collected yet another Trophy last year in The Great Australian Red competition making it the most awarded, great value wine made from this blend in Australia. This is a faultless creation and it is only twenty- three quid. It is world class, massively memorable, grippingly balanced and it will live for an eternity. The Follett family is guaranteed a place in the Australian Hall of Fame of Wine for their services to great value greatness. They have another stunner in their ranks, too, 2013 Cabernet Sauvignon which shuns Shiraz and focusses purely on Cabernet and this, too, is a veritable tour de force. 2014 Cherubino, The Yard Shiraz, Acacia, Frankland River, WA |14.0% | The Yard Shiraz comes from the relatively cool climate of Frankland River some 100 kilometres east of Margaret River. When I first tasted this wine I made notes that on re-reading them sounded like I had seen a Bandol and not and Aussie Shiraz. I listed earthiness, rose petals, Turkish Delight, dark, sooty fruit, but lightness and freshness on the tannins. This style of cool climate Shiraz appeals greatly to my palate. ‘Light’ doesn’t need to mean dilute or frail. In this instance it simply refers to the ‘weight’ of the wine, which in turn has nothing whatsoever to do with its intensity. This is, my goodness me, an intensely fruit-driven wine with an inky colour, but in all other respects it is nimble, refreshing, melodic and charming. Larry has two important whites in his operation, both of whom have appeared in 100 Best Lists of old and both of whom have immensely loyal followers. So, for those of you in the know, 2014 Margaret River Chardonnay is a slightly more billowy and invigorating Chardonnay than last year’s bosomy 2013 and 2015 Pemberton Sauvignon Blanc is awesome with discreet but firm oak embroidered into the core of this super-classy Sauvignon. Larry is a genuine master of all trades and jack of none. 2015 Teusner, Joshua, Barossa Valley, SA | 14.5% | Teusner’s vividly-scented Joshua features a blend of Grenache and Mourvèdre with a splash of Shiraz for good measure. Its dense, berry-soaked core is formed from 100 year old Mourvèdre vines and this darkness is coated in layer upon layer of juicy Grenache, wrapping this parcel of joy with frivolous cranberry, cherry, raspberry notes and finally topping it all off with youthful 20 year old Shiraz which adds a savoury twist of spice to keep it all real. Any other winery would then incarcerate this heroic concoction in an oak prison for a few years before letting it out on parole to wreak havoc. Kym and Mick rightly involve no oak whatsoever allowing this wine the chance to sing and dance from day one. By all accounts this is Australia’s finest and most exuberant Côtes-du-Rhône-style wine. I love to drink it at cellar temperature and at speed – I find it quenches the thirst with incredible accuracy leaving you feeling remarkably refreshed in all senses of the word! For every action there is an equal and opposite one, as you know, and so when Kym and Mick bring us Joshua with its agility and poise they have to make a colossus to balance it out. 2012 Righteous FG Shiraz is just such a wine. Frightfully frightening and gorgeously good, according to Kym, this wine gets the Rolls Royce treatment and boy you can taste it. Huge, glowering, decadent, crammed with plangent tannins and with five dimensions of flavour this is everything and more and it is ‘F’ing G, I can assure you. Thus far, 5 roadshow dates have been announced where guests can join Matthew and taste the finest line-up of Australian wines. 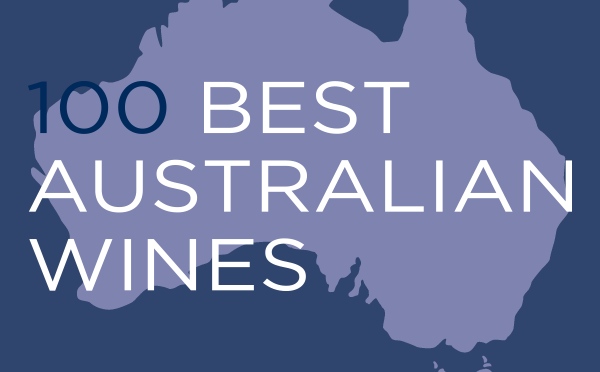 “Past, present, future – I passionately believe in the world class excellence of Australian wine and my fascination with this subject drove me to compile my annual 100 Best Australian Wines Report.. I am proud to say that over the last 13 years this work is considered to be the unparalleled marker of truly great Australian wine”. A new wave, cool climate Aussie Chardonnay. 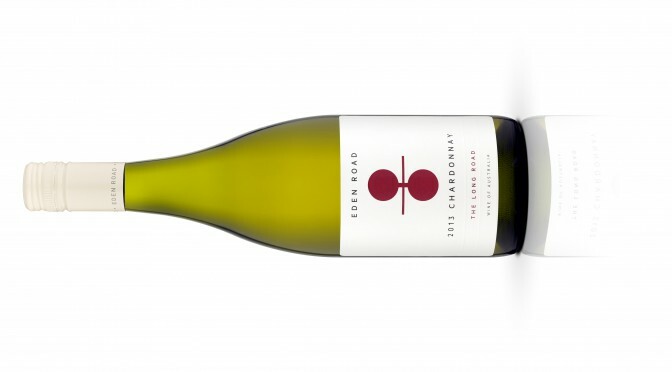 Located in Murrumbatemanin New South Wales’ Canberra Wine District, boutique winery Eden Road was established in 2008 by businessman Chris Coffman and was awarded the most prestigious wine award in Australia – The Jimmy Watson- for its first vintage of The Long Road Shiraz in 2009. Its collection of cool climate wines in a raft of exciting and original styles are highly-prized, and owe much to the soils the vines are planted on which were formed over 400 million years ago and are some of the oldest on the planet. 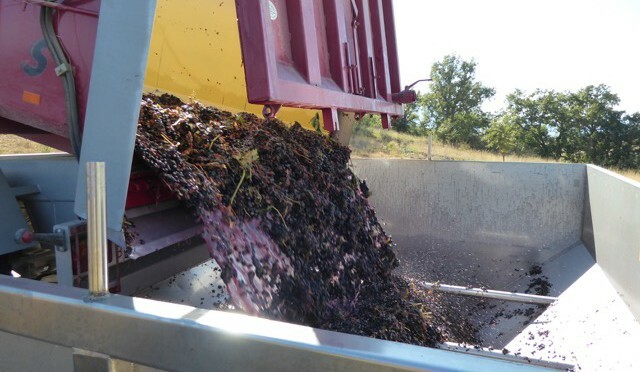 The fruit was gently pressed directly into French oak barriques, of which 10% were new, without settling and inoculated with selected yeasts to achieve fruit purity. It was then matured for 12 months on its lees prior to being racked and bottled. Very little oak influence, wonderful elegance with the focus on citrus fruits and white blossom with a long, lip-smacking finish. One of our favourite food and wine pairings at this time of year is pumpkin and Chardonnay. The velvety, rich texture of pumpkin complements the similar texture found in this Burgundian style, Aussie Chardonnay. If you walked beyond the fountains of Granary Square, Kings Cross, on the weekend of 08 and 09 October you would have been met with an amazing array of the finest Grecian producers at London Greek Wine Festival 2017. 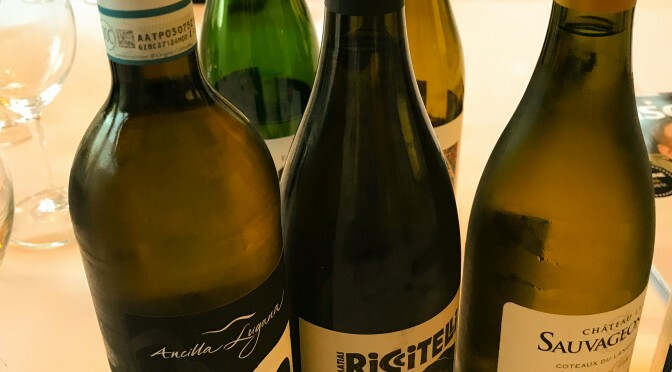 The collection of reds, whites, indigenous blends, international blends and even a sweet wine demonstrated the remarkable improvements in the Greek wine industry over the past decade and the varying delights that Greece has to offer. 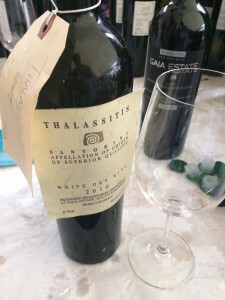 The star wine of the festival was an extraordinary bottle of Thalassitis, from Gaia Wines, which truly embodied the power of Poseidon after spending five years underwater in the bottle in the caves of Santorini. 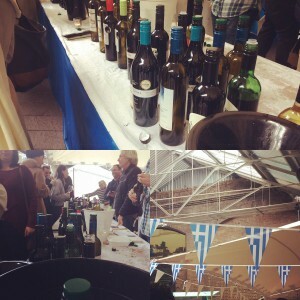 In addition to the sumptuous food and countless bottles on offer to try, we were able to listen to inspirational host, Olly Smith, take us through past and present Greek wine, as well as our very own Steve Daniel guide us in all things authentically Greek. 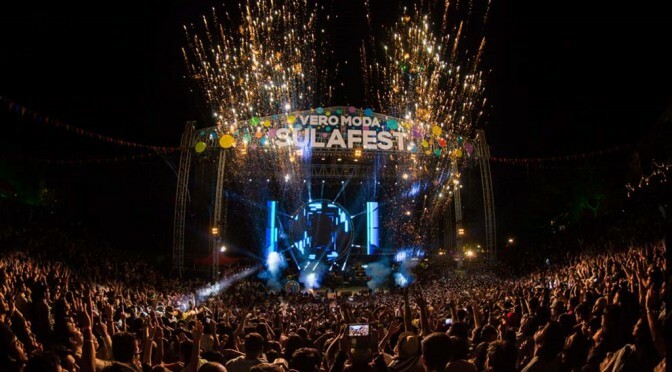 An amazing weekend, with amazing people – one not to be missed in 2017! Tim Atkin’s 2016 South Africa Special Report has highlighted the country’s finest wines, including a broad selection from our suppliers. In his fourth annual guide to South Africa, Atkin says the 2015 vintage is: “the best I’ve tasted in 26 years of writing about the country’s wines” and should be a springboard to global recognition. 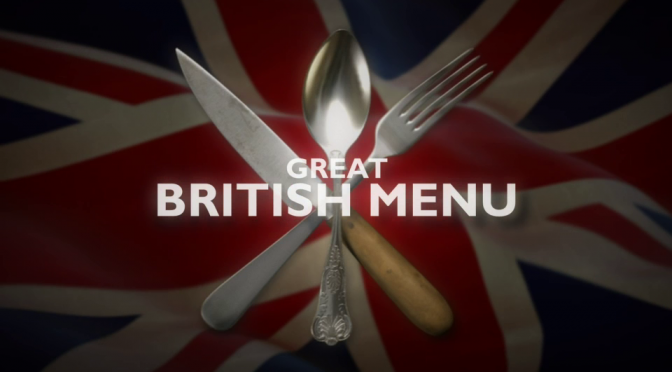 This year’s Great British Menu sees the Palace of Westminster opens its doors for the first televised banquet to be held in the House of Commons Members’ Dining Room. 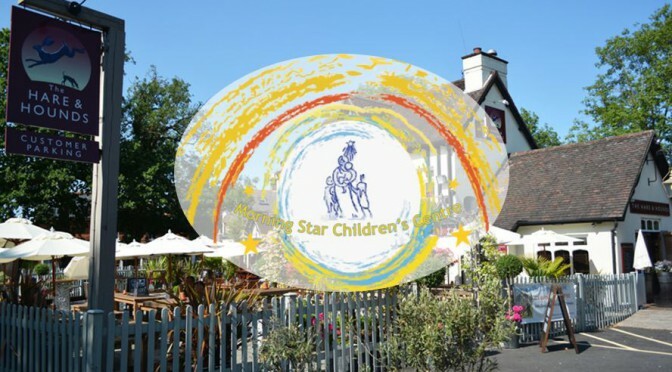 And although he did not manage to get to the Palace kitchen doors, central region finalist, Daniel Smith, of The Ingham Swan, is treating his restaurant guests to the menu that saw him become the second highest scoring chef in the region. Diners at the Bib Gourmand restaurant in Norfolk are able to sample the six course tasting menu with accompanying Hallgarten wine pairings, each selected to showcase the great British flavours Daniel has chosen. 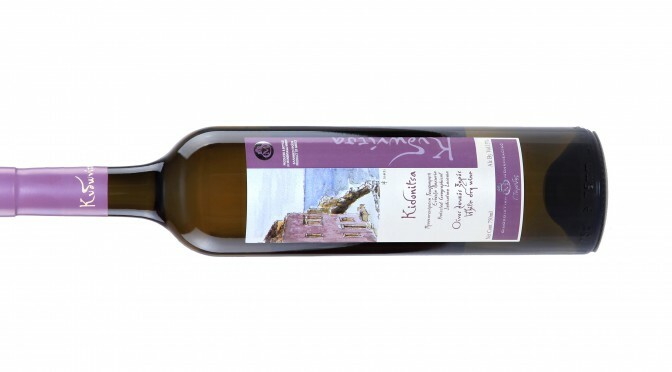 The Producer: The appellation of origin Malvasia is referred to the Byzantine city of Monemvasia whose name was also given by the Franks to its wine. The vineyards were located at Dorieon Chora the region of the countryside of Epidavros Limiras which was a favourable environment for the vineyard cultivation. The mild coastal climate in combination with the terrain made up the exceptional features which gave a unique quality to the wines of Malvasia. This is where Malvasia was made prior to the 13th century when the local traders loaded it onto the ships from the port of Monemvasia. In the Byzantine era, the economy of fortified cities such as Monemvasia was based on trade. After the 14th century, these cities gained significant privileges and traded freely in all major trading centres. The Wine: The grapes were carefully selected. The fermentation took place with selected yeasts, in stainless steel at low temperatures of between 14 to 16°C for a period of 15 to 20 days, preserving the quince aromatics of this variety and retaining the freshness of the style. Tasting note: Elegant aromas of tropical fruits and quince, which follow through pleasantly on to the palate, crisp with excellent balance and a fairly long finish.